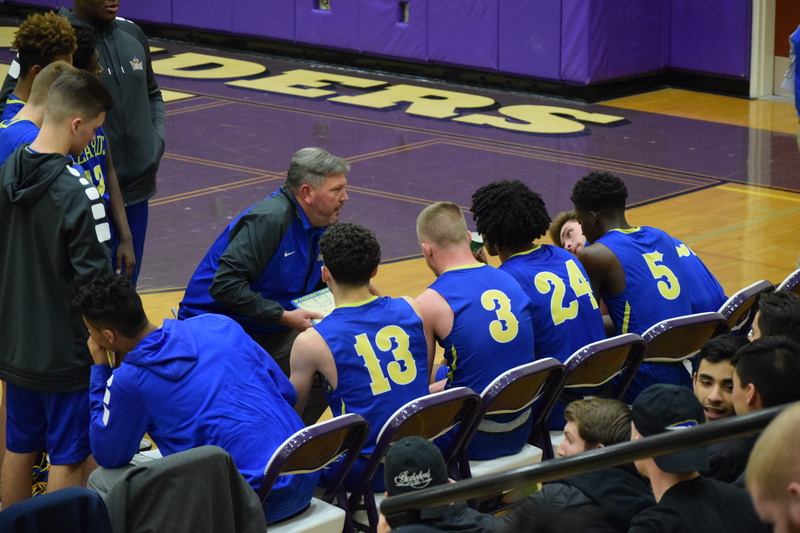 WOODBURY —The Wizards were trailing by two with 1:28 left when Washingtonville head coach Todd Rose used two timeouts before an inbounds play. Every possession mattered; every second with the ball mattered, and Rose waited until his team got the look they were hoping for with the game on the line. Senior forward Kareem Lubin found junior center Romeo Aquino for a wide-open layup coming off a play in stack formation. The layup tied the game for the Wizards, who hadn’t led since early in the third quarter. They went on a 6-0 run to start the second half, but Monroe-Woodbury answered with a 17-3 run of their own to end the third quarter. In the last 6:38 of the game (including overtime), Washingtonville went on a 13-0 to secure a hard-fought 49-41 win over Monroe-Woodbury. For the second consecutive game, Washingtonville was led in scoring by Aquino — who led both teams with 18 points. Lots of people don’t know who Romeo is because he spent last season on the junior-varsity team. Ever since he made his varsity debut last Monday, he’s been wreaking havoc. Through three games, he’s scored 51 points, grabbed 33 rebounds, and has blocked 12 shots. (17 PPG, 11 RPG & 4 BPG). Senior forward Conor Coffey led the Crusaders (1-1) with 15 points (three 3-pointers), Lulgjuraj added eight points and six rebounds. When Rose set up the schedule, he wanted to pick three tough teams to start off the season against. They played three of the top teams in Section 9 with one day of rest in between, winning all three games.